We love to see one of our dealers think outside of the box to provide a family with a unique and memorable graveside ceremony. 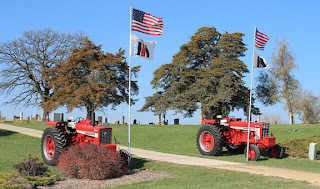 Mike Eckhart and the staff at Iowa Concrete just sent us these photos of a custom service they provided for a family that owns a tractor parts company. The service included four flag poles, two tractors, and a balloon release. What a beautiful tribute. 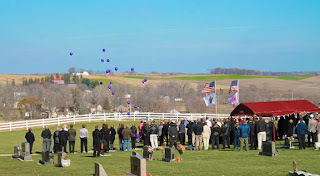 We would like to thank the staff at Iowa Concrete for providing this family with such an amazing graveside service. Keep up the great work!